*GLA 250 trim. Jupiter Red exterior and Black MB-Tex interior. Sunroof, NAV, Heated Seats, Full-Time 4MATIC® All-Wheel Drive, Power Liftgate, Back-Up Camera, PANORAMA SUNROOF, Alloy Wheels. FUEL EFFICIENT 31 MPG Hwy/23 MPG City! READ MORE! KEY FEATURES INCLUDE Power Liftgate, Back-Up Camera, Turbocharged. Rear Spoiler, MP3 Player Comment Our 2018 Mercedes-Benz GLA Class GLA 250 4MATIC® is bold and eye-catching in Jupiter Red! Fueling our SUV is a TurboCharged 2.0 Liter 4 Cylinder that puts 208hp at your command with its race-inspired 7 Speed Dual Clutch Automatic transmission. Courtesy of Dynamic Select, with this All Wheel Drive, you can drive according to your mood while attaining 33mpg on the highway. Better than ever, the dramatic design of our GLA 250 is a total attention getter! Notice the iconic grille, gorgeous wheels, and overall athletic stance of this 5-passenger SUV. The cabin offers versatile cargo space and upscale amenities that feel indulgent including remote start via mbrace® mobile app, dual-zone automatic climate control, a power liftgate, and a 3-spoke multifunction steering wheel. Settle into the ultra-supportive power adjustable driver seat with memory and keep your essential information close at hand courtesy of a central controller and an 8-inch color display as well as Bluetooth®, dual USB ports, HD radio receiver, CD/MP3, a media interface, and other state-of-the-art technology. Safety features are plentiful with Mercedes-Benz and include eight airbags, active brake assist, Attention Assist, a rearview camera, LED daytime running lamps, front fog lamps, and smart engineering with high and ultra-high-strength steel. Adaptive, agile, and eager to please, our GLA 250 is a superb choice that is more than adept at handling your daily drive. Print this page and call us Now... We Know You Will Enjoy Your Test Drive Towards Ownership! Plus tax, title, license and $179 dealer documentary service fee. See dealer for details. *GLA 250 trim. Jupiter Red exterior and Black MB-Tex interior. Sunroof, NAV, Heated Seats, Full-Time 4MATIC® All-Wheel Drive, Power Liftgate, Back-Up Camera, PANORAMA SUNROOF, Alloy Wheels. FUEL EFFICIENT 31 MPG Hwy/23 MPG City! READ MORE! Our 2018 Mercedes-Benz GLA Class GLA 250 4MATIC® is bold and eye-catching in Jupiter Red! Fueling our SUV is a TurboCharged 2.0 Liter 4 Cylinder that puts 208hp at your command with its race-inspired 7 Speed Dual Clutch Automatic transmission. Courtesy of Dynamic Select, with this All Wheel Drive, you can drive according to your mood while attaining 33mpg on the highway. Better than ever, the dramatic design of our GLA 250 is a total attention getter! Notice the iconic grille, gorgeous wheels, and overall athletic stance of this 5-passenger SUV. The cabin offers versatile cargo space and upscale amenities that feel indulgent including remote start via mbrace® mobile app, dual-zone automatic climate control, a power liftgate, and a 3-spoke multifunction steering wheel. Settle into the ultra-supportive power adjustable driver seat with memory and keep your essential information close at hand courtesy of a central controller and an 8-inch color display as well as Bluetooth®, dual USB ports, HD radio receiver, CD/MP3, a media interface, and other state-of-the-art technology. Safety features are plentiful with Mercedes-Benz and include eight airbags, active brake assist, Attention Assist, a rearview camera, LED daytime running lamps, front fog lamps, and smart engineering with high and ultra-high-strength steel. Adaptive, agile, and eager to please, our GLA 250 is a superb choice that is more than adept at handling your daily drive. Print this page and call us Now... We Know You Will Enjoy Your Test Drive Towards Ownership! Heated Seats, Back-Up Camera, Alloy Wheels, BLACK ASH MATTE WOOD TRIM, PREMIUM PACKAGE, Power Liftgate, Full-Time 4MATIC® All-Wheel Drive. GLA 250 trim, Night Black exterior and Black MB-Tex interior. EPA 31 MPG Hwy/23 MPG City! AND MORE! KEY FEATURES INCLUDE Power Liftgate, Back-Up Camera, Turbocharged. Rear Spoiler, MP3 Player, Full-Time 4MATIC® All-Wheel Drive, Onboard Communications System, Aluminum Wheels, Privacy Glass, Steering Wheel Controls. OPTION PACKAGES PREMIUM PACKAGE KEYLESS GO®, Heated Front Seats, Blind Spot Assist, SIRIUSXM Satellite Radio, HANDS-FREE ACCESS, BLACK ASH MATTE WOOD TRIM. Mercedes-Benz GLA 250 with Night Black exterior and Black MB-Tex interior features a 4 Cylinder Engine with 208 HP at 5500 RPM*. 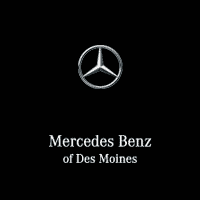 MORE ABOUT US We are Mercedes-Benz of Des Moines. Lower market price for above market value. We ship and register in all 50 states and Canada. Plus tax, title, license and $179 dealer documentary service fee. See dealer for details.Heated Seats, Back-Up Camera, Alloy Wheels, BLACK ASH MATTE WOOD TRIM, PREMIUM PACKAGE, Power Liftgate, Full-Time 4MATIC® All-Wheel Drive. GLA 250 trim, Night Black exterior and Black MB-Tex interior. EPA 31 MPG Hwy/23 MPG City! AND MORE! PREMIUM PACKAGE KEYLESS GO®, Heated Front Seats, Blind Spot Assist, SIRIUSXM Satellite Radio, HANDS-FREE ACCESS, BLACK ASH MATTE WOOD TRIM. Mercedes-Benz GLA 250 with Night Black exterior and Black MB-Tex interior features a 4 Cylinder Engine with 208 HP at 5500 RPM*.